Want to lose weight? Not as active as you’d like to be? Coffee has been proven to boost the metabolic rate, which is why caffeine is a common ingredient in “fat-burning” supplements. Researchers believe a specific compound found in coffee lowers liver enzymes and slows the progression of liver disease. This is good news, especially if you drink alcohol. Studies show one to six cups of coffee a day helps you focus and improves mental alertness. Caffeine increases blood flow, which your body responds to by firing neurotransmitters and increasing blood oxygen levels to help you think. Americans actually get more antioxidants from coffee than anything else! While fruits and vegetables also have many antioxidants, the human body absorbs the most from coffee. A cup of coffee before a workout, especially endurance sports, can jolt athletic performance. Coffee increases the number of fatty acids in the bloodstream, which allows muscles to absorb and burn those fats for fuel. Researchers have found that consuming 200 mg of coffee has a positive effect on our long-term memory. A recent study even found that coffee intake was associated with a reduced risk of developing dementia. Need to stock up on your coffee? 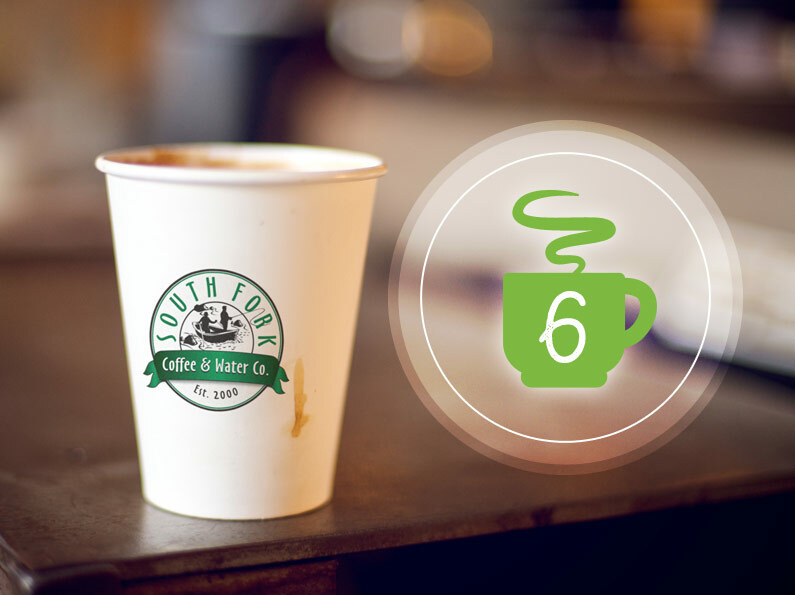 Order South Fork Coffee online, or sign up for local delivery to have coffee delivered right to you.